As a HUGE comedy fan, I want to know what makes you laugh. Especially if you're from across the pond, I'd love to know what British Comedy makes you chuckle like a complete mental. 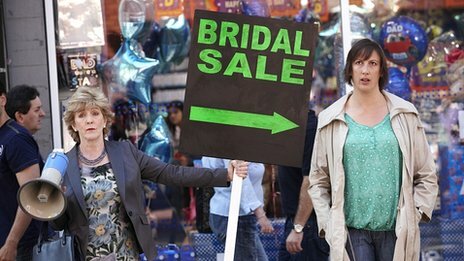 Meanwhile, I'll leave you with one a fabulous screen shot of one of my favourite Sitcoms; Miranda (BBC).